Target has the Fisher-Price Laugh and Learn Game and Learn Controller on sale for $8.16, down from $9.59. In addition, now through April 13, when you choose free in store pick up you save an additional 15% bringing the price down to $6.93. 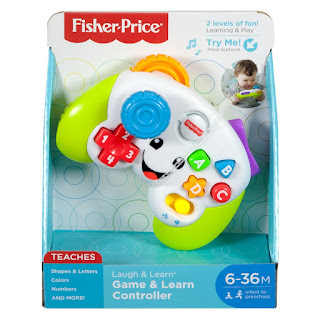 Your baby can get into the gaming fun with this Laugh & Learn toy video game controller, which features two "gaming" modes and lots of hands-on activities! 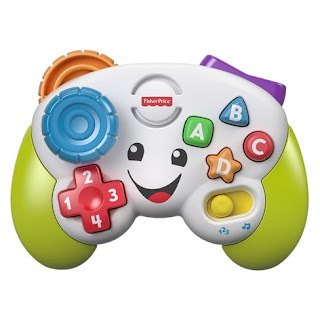 As little gamers move the joystick and press the ABCD and number buttons, they'll hear exciting songs, sounds, and phrases that introduce numbers, shapes, colors, and more.